Before the Second World War there were thirty Jewish communities with some 25,000 members in the area of the present-day Republic of Croatia, and only about 20% survivors lived to see the end of the war. Most of them perished in the concentration camps of the Independent State of Croatia (ISC), especially in the Jasenovac complex, but significant number also outside of the ISC territory, mainly in Auschwitz. 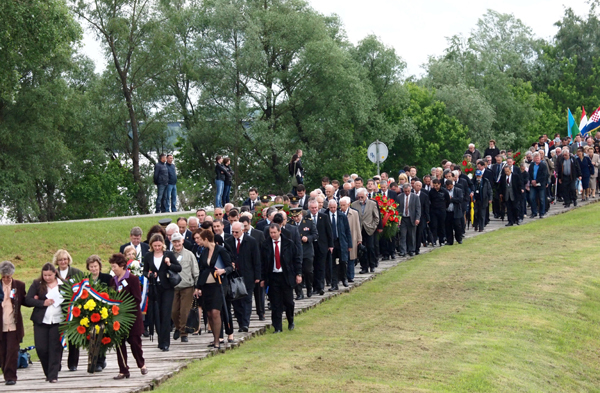 Those who survived mostly joined the partisan movement. Following from these facts three dates are tied to the commemoration of the anti-fascist movement and remembrance of the victims of fascist terror in Croatia: The International Day of Commemoration in Memory of the Victims of the Holocaust (27th January), the Day of Remembrance of the Breakout of Prisoners from Jasenovac Concentration Camp (22nd April) and the Anti-Fascist Struggle Day (22nd June). 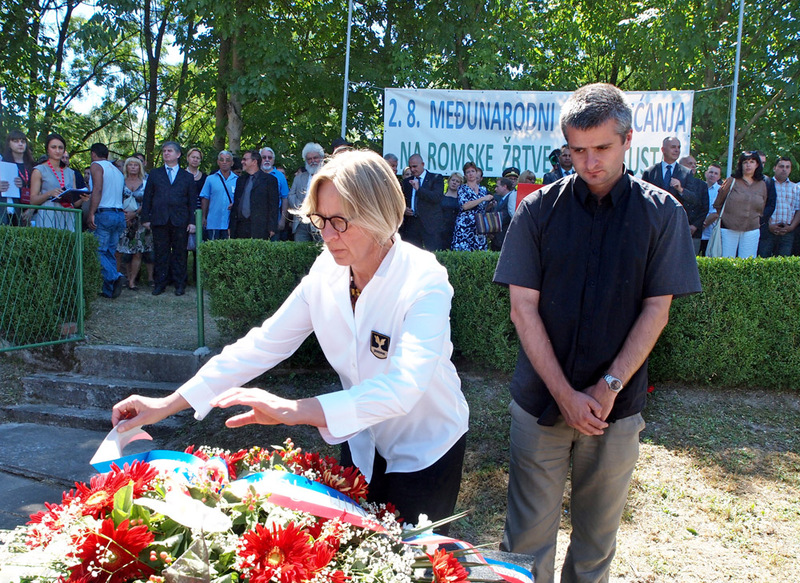 Becoming a full member of IHRA in 2005, the Republic of Croatia has significantly advanced its activities in the field of research, remembrance and education about the Holocaust. 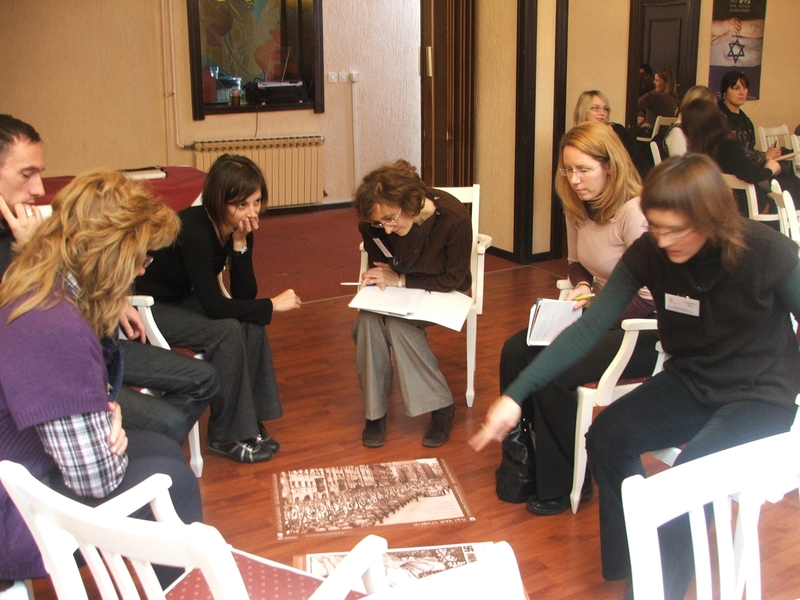 Cooperation has been established between institutions in the Republic of Croatia and Yad Vashem (Israel), the United States Holocaust Memorial Museum (USA), Jewish Foundation for the Righteous (USA), University of Southern California Shoah Foundation Institute for Visual History and Education (USA), Anne Frank House (The Netherlands), and other institutions in countries that are IHRA's members. This cooperation has increased the number of realized projects and project proposals from the Republic of Croatia that apply for co-financing with IHRA. Although pupils and students have learned about the Nazi and Ustasha regimes in History curricula in primary and secondary schools and universities since World War Two, teaching has taken a new direction with the adoption of the National Programme for Human Rights Education in 1999. 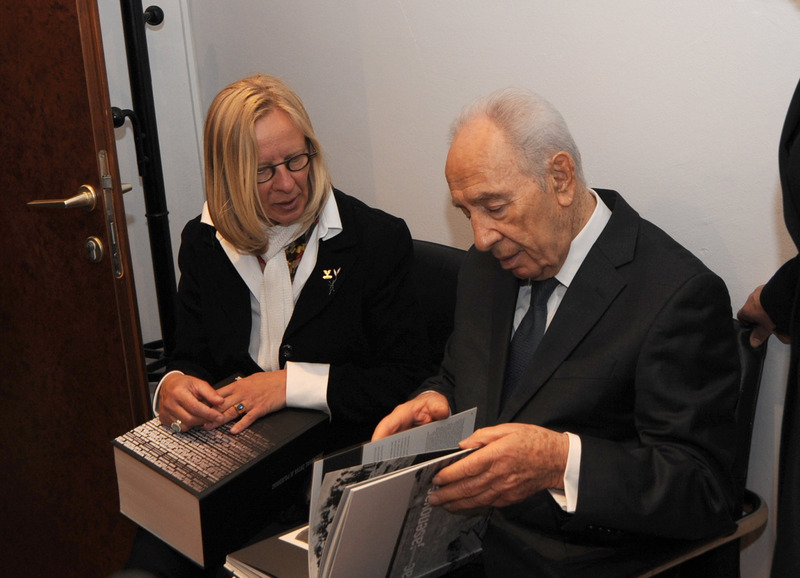 It defines the aim of teaching about the Holocaust as not only to learn about and preserve the memory of the period of unprecedented suffering but also to reflect on what each individual should do to prevent antisemitism, intolerance and any crime against humanity. Holocaust education was additionally enhanced by the 2003 Decision of the Ministry of Education and Sports to establish The Day of Remembrance on Holocaust and for the Prevention of Crimes against Humanity which calls for the commemoration of 27th January and cross-curricular teaching on the topic. 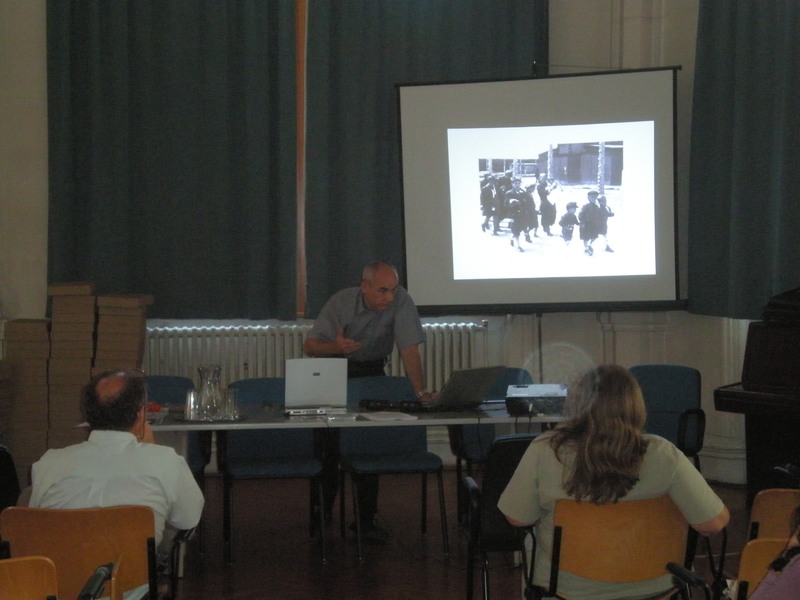 Holocaust exists as a topic in various social and humanistic studies, and recently, as a distinct subject at Judaic studies of the Faculty of Social Science and Humanities in Zagreb. beginning with IHRA Guidelines for Teaching about the Holocaust in 2005, and succeeded by many others (Guidelines on how to commemorate the Day of Remembrance of the Holocaust, Yad Vashem, and the OSCE, 2006, Posters, the stories on the Righteous among the Nations: "Traits that Transcend" and the manual for teachers, (Jewish Foundation for the Righteous, New York, 2007) Lessons based on survivors' video testimonies, Shoah Foundation Visual Institute, 2008, a few sets of Teaching materials on Antisemitism, developed with the Anne Frank's House Museum and OSCE, since 2007). 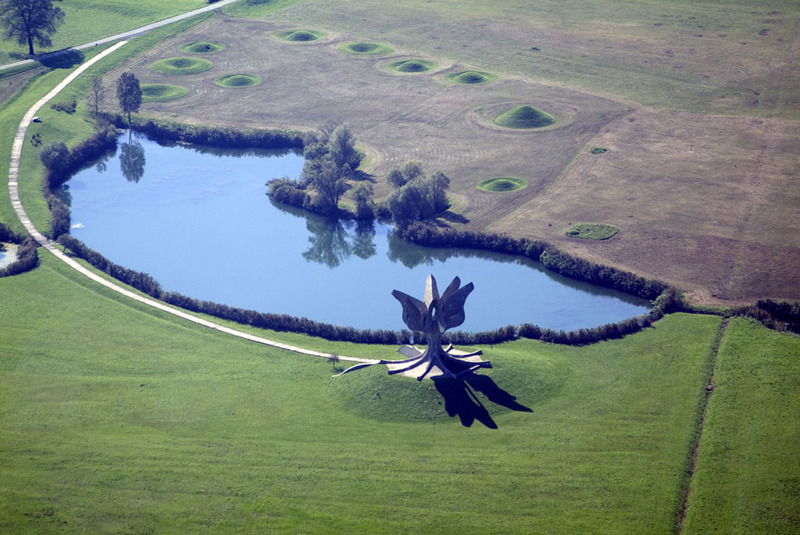 Although many sites in Croatia are related to the remembrance of the Holocaust, Jasenovac Memorial Site is the place where the main ceremony is held every year on the occasion of the International Day of Commemoration in Memory of the Victims of the Holocaust. educators, students etc. 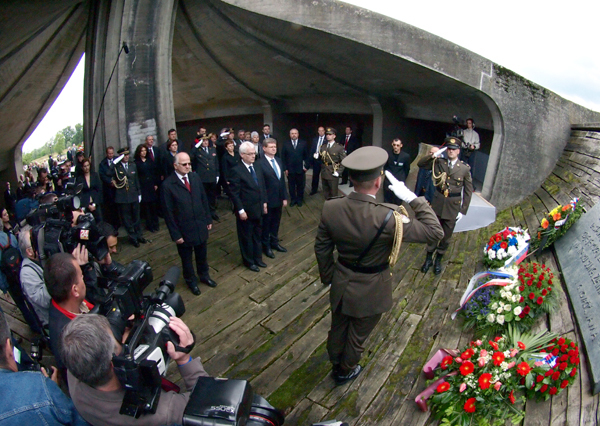 The work of the Memorial Museum and Education Centre in Jasenovac has a basic scientific approach, to educate and prevent crimes against humanity, and to enable learning about the genocide committed in Jasenovac, about the Holocaust and suffering, as a starting point in acquiring knowledge in the field of human rights, non-violence, peace, cultural diversity, democracy and the rule of law. The most recent projects of the Holocaust memorialisation are those of the revitalization and presentation of Stara Gradiška, where concentration camp also existed as a part of the Jasenovac complex, and the renewal of the exhibition in the Auschwitz Birkenau Memorial Museum, in the former Yugoslav pavillion, which is under construction in the frames of the joint concept developed by the experts from all ex-Yugoslav succeeding states. 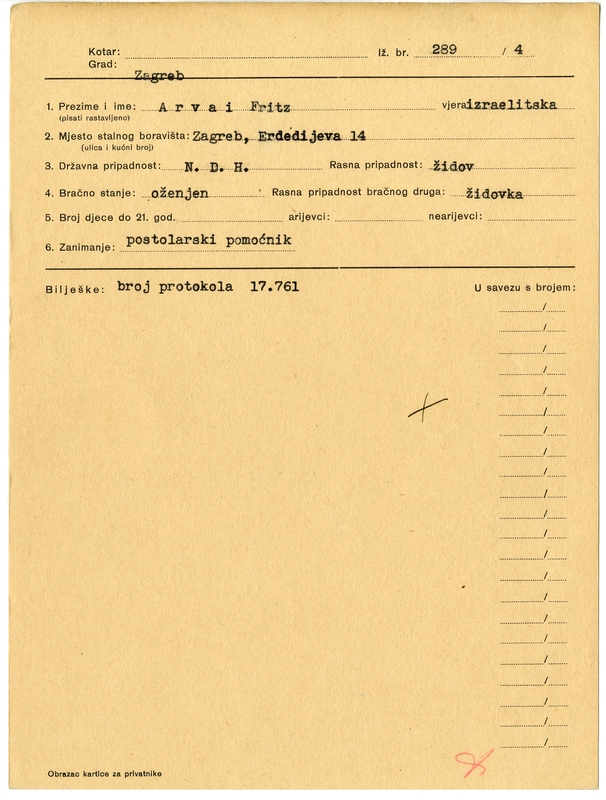 The most important resources for Holocaust researchers in Croatia can be consulted in the Croatian State Archives, but also in some of the regional archives (Osijek, Rijeka, Varaždin, Zagreb), in the Research and Documentation Center for Holocaust victims and survivors (CENDO), some museums (Jasenovac Memorial Museum, Croatian History Museum, Museum of the City of Rijeka and other institutions. Jewish communities also have important resources. 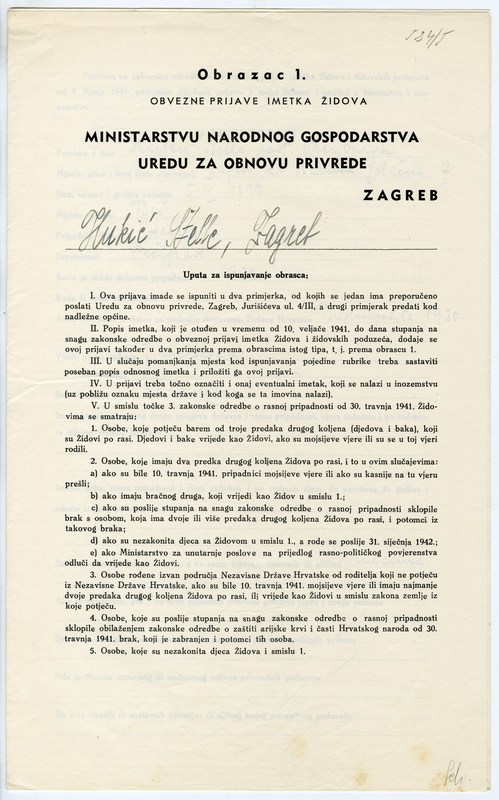 There are several research and academic institutions which have contributed to Holocaust research: Croatian State Archives, Croatian Institute of History, several Croatian universities (e.g. Faculty of Social Science and Humanities in Zagreb), and Jewish communities, including the Jewish Community of Zagreb, the Jewish Community Bet Israel of Croatia, and the Jewish Community of Osijek. by M. Švob, in co-operation with Z. Mirković, which contains the lists of Jews who perished in WWII, catalogue "Jasenovac Memorial Site", published in 2006, on the occasion of the opening of the new permanent exhibition in the Jasenovac Memorial Museum, also containing relevant information on the Ustasha regime in the Independent State of Croatia, and contributing to a broader knowledge on the period, List of Individual Victims of Jasenovac Concentration Camp 1941-45", published in 2007 by the Jasenovac Memorial Site, etc. As well as a few doctoral thesis have been finalized and published, or are works in progress, e.g. B. Zuckerman's thesis, with analysis of the anti-Jewish propaganda in the ISC and Serbia 1941-1945 ( published in 2011), or N. M. Brandl's, related to the status of Jewish community in Croatia from 1944 till 1952.